Effectively disseminate emerging knowledge and technologies to broad audiences to accelerate social learning and practical applications of SRP research findings. To achieve these Aims we will identify and coordinate research translation opportunities with each SRP project, communicate with SRP staff at NIEHS, and do joint ventures with other SRP Centers nationwide (including a forum about tribal science and the value of university-tribal science partnerships). The RTC will work with the San Diego Industrial Environmental Association, and other partners, to host a series of Forums (Frontiers in New Biology) that encourage public discussion around the knowledge and technologies emanating from UCSD’s SRP and from the national SRP network. We will systematically evaluate our progress toward meeting these aims using a logic model with input from our Center’s internal advisory committee. We will share our progress and lessons learned with industry, the U.S.EPA, ATSDR, PEPH, and the NIEHS Research Translation network. 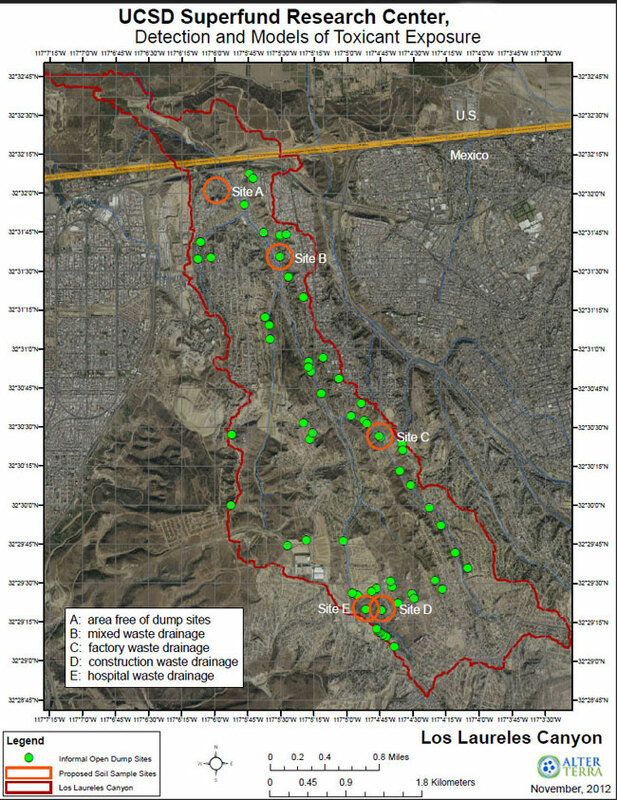 Al-Delaimy, W. K., Larsen, C. W., Pezzoli, K. (2014) Differences in health symptoms among residents living near illegal dump sites in Los Laureles Canyon, Tijuana, Mexico: a cross sectional survey. In.t J. Environ. Res. Public Health. 11(9), 9532-52. Dr. Wael Al-Delaimy, MD, Ph.D.